… to the citizens seems to be a huge problem. One could assume that at least in Ireland, the only country that will hold a referendum on the Treaty, things are slightly different. But apparently this is not true! This article (What exactly are we reforming in this treaty?) shows us all the problems of the Treaty /EU in a nutshell: Lack of a professional communication strategy, arrogance of EU officials, no consolidated version of the rather complicated Treaty and journalists that are not doing their job properly! – Problem No.1:The European Commission Representation in Dublin clearly fails in explaining the Treaty. Not only were they not able to answer some of the questions, but they also showed a degree of arrogance that makes it hard to become a supporter of the Treaty (and eventually the EU)! It is another proof that the Commission does not have the slightest idea how to communicate professionally. Commission Representations in the member states are seen as ‘official embassies’ of the EU! Therefore, it should be in the interest of the European Commission to make the case for the EU and the Treaty in a convincing way. The upcoming referendum in Ireland should make training of the Commission staff in Dublin a priority! Or to put it more dramatically: Dublin might be the only place in the EU where people actually want to know details about the Lisbon Treaty! – Problem No.2 is of course the complicated nature of the Lisbon Treaty which also makes it more difficult to explain (but that should not be understood as an excuse!). Of course the reason for this is the failed constitutional treaty and the problematic idea that the new treaty should be similar in content but with a different form. It is believed that only a stripped down treaty that looks very technical and incomprehensible (= “non constitutional”) can win the support of all member states and, at the same time, prevent as many referenda as possible. – Problem No. 3: The missing consolidated version of the Lisbon Treaty. 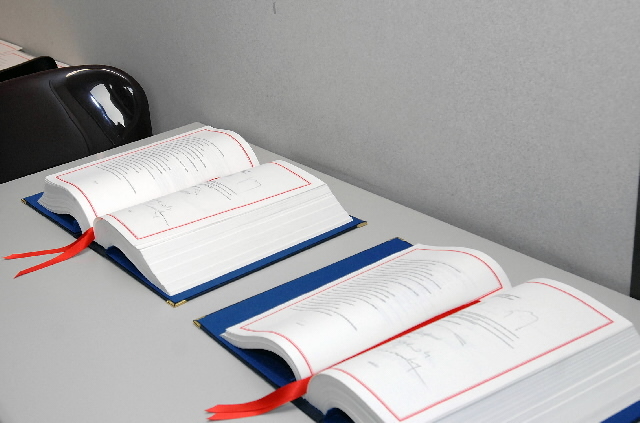 Ralf Grahn put together a list of existing consolidated versions of the Treaty which is probably the most comprehensive list to date. I guess there are three reasons why the EU has not published consolidated versions: firstly, a lot of legal details have to be clarified, secondly, a translation in all languages takes quite a while and, thirdly, I think the EU institutions have an interest to preserve the “technical look” (see above) as long as possible. The Treaty establishing the European Community shall be amended in accordance with the provisions of this Article. 1) The title of the Treaty shall be replaced by “Treaty on the Functioning of the European Union”. Anyway, if he still has problems with the TFEU he should start reading EU blogs! Popular EU myths are always interesting and entertaining. Everybody probably remembers the stories about bananas, cucumbers or the “bombay mix” as well as the ‘evil EU (= Eurocrats) in Brussels that has no idea about reality’. So, either you are active in producing EU myths or you try to demystify them. However, a common approach for the latter is to repeat the myth and try to explain the facts that led to the creation of the myth. Lots of EU blogs usually follow that strategy and also the European Commission is very active in revealing stories that contain twisted facts or even lies. An interesting list of newspaper items can be found here. The psychological insights yielded by the research, which has been confirmed in a number of peer-reviewed laboratory experiments, have broad implications for public policy. The conventional response to myths and urban legends is to counter bad information with accurate information. But the new psychological studies show that denials and clarifications, for all their intuitive appeal, can paradoxically contribute to the resiliency of popular myths. The research does not absolve those who are responsible for promoting myths in the first place. What the psychological studies highlight, however, is the potential paradox in trying to fight bad information with good information. (…) The experiments also highlight the difference between asking people whether they still believe a falsehood immediately after giving them the correct information, and asking them a few days later. Long-term memories matter most in public health campaigns or political ones, and they are the most susceptible to the bias of thinking that well-recalled false information is true. The experiments by Weaver, Schwarz and others illustrate another basic property of the mind — it is not good at remembering when and where a person first learned something. People are not good at keeping track of which information came from credible sources and which came from less trustworthy ones, or even remembering that some information came from the same untrustworthy source over and over again. So, what are the implications for dealing with EU myths? Is it better not to mention a EU myth at all? Or do we need to repeat the facts all over again without mentioning the myth? Of course both approaches do not necessarily go well with any journalistic standard and are rather PR oriented! What do you think? What are your experiences with deconstructing EU myths?